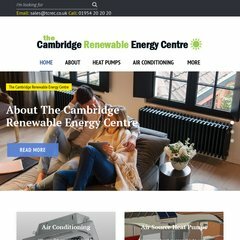 Topics: The Showroom, Carbon Trust, Renewable Energy Showroom, How Evaporative Cooling Works, and Air To Water Heat Pumps. dns1.easily.co.uk, and dns0.easily.co.uk are its DNS Nameservers. It is hosted by Unix Web Hosting Block 3 (England, London,) using Apache web server. The site is programmed for PleskLin.